As a patient at our Redondo Beach dentist clinic, we want to exceed expectations and give you a healthy smile. Our practice philosophy is to provide our patients with the same considerate treatment and care that we give to our friends and family And Your oral health is our first priority. Beach Smile Dental is dedicated to providing excellence in dentistry at Redondo Beach Combining Cosmetic Dentistry, family dentistry , Dental Implants and Orthodontics, we’ve been named Best Dentist in Redondo Beach and Best Practice, With world-class dental and orthodontic specialists, cutting-edge technology, wonderful support staff and soothing environment we are committed to making you smile, in every way, Our general dentists and hygienists advise children and adults on how best to care for their teeth and gums to prevent dental problems, as well as fixing current ones. Cosmetic dentistry focuses on smile aesthetics with veneers, white fillings and crowns and teeth whitening to provide that extra sparkle. Our Smile Makeover in a Day is ideal for those short of time and seeking the perfect smile. Our specialist Dentist Redondo Beach periodontists treat patients with gingivitis (inflamed or bleeding gums) or periodontal disease (which affects the gums and underlying bone). Dental implants are the ideal solution after dental trauma and a permanent alternative to dentures, allowing patients to eat and smile with confidence. We invite you to join us in an extraordinary dental experience. We offer not only exceptional general and cosmetic dental care, but we also treat our clients while keeping their whole body in mind. At Beach Smile Dental, we are serious about providing exemplary dental care and proud of our dedication to our clients. 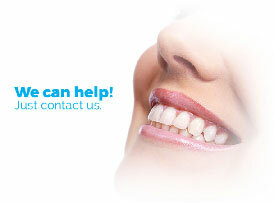 Our goal is to help our clients look and feel their very best through excellent dental care. We use world class dental materials such as 3M, and all our laboratory work is done here in the United States to ensure we get the best possible result.